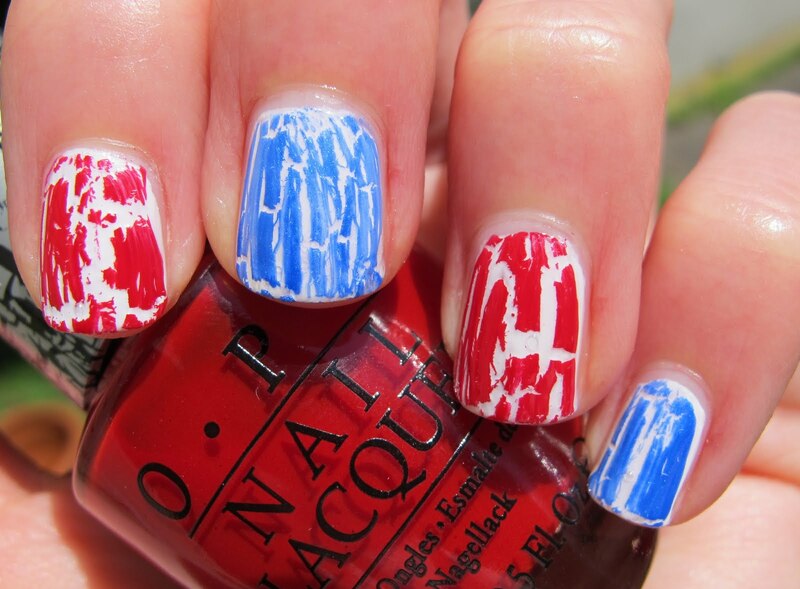 Never Enough Nails: Fourth of July Shatter Mani! A lot of times, I don't do theme manis for holidays (except Christmas because there are so many fun combinations). This one just jumped out at me and I had to do it. 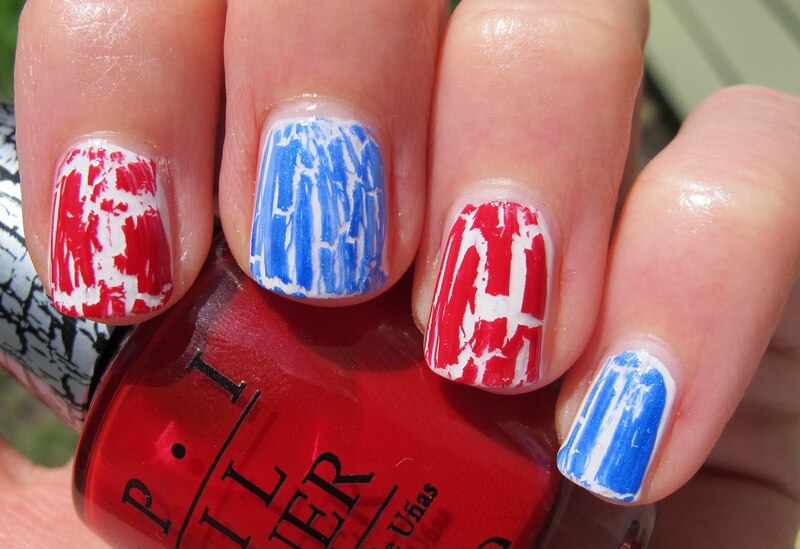 Because I've been obsessed with OPI Shatter lately, here it is... a Fourth of July Shatter mani! 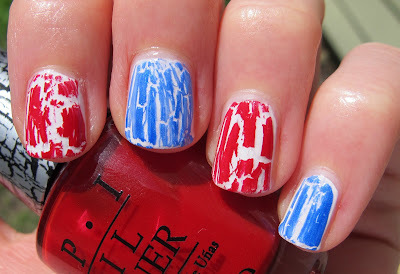 This is two coats of my favorite white, OPI Alpine Snow topped with OPI Red Shatter and OPI Blue Shatter alternating. Is this probably cheesy? Yes. Do I care? No! There aren't many days of the year where you can wear red, white, and blue all together, but this is one of them, so I say go for it! 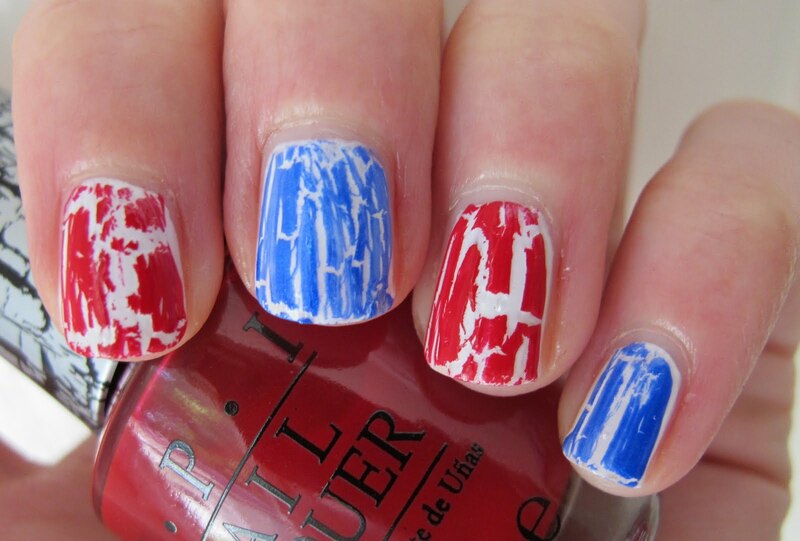 This mani also reminded me of how great that Red Shatter really is. I think it's the best shatter/crackle formula I have tried! And it cracks apart so easily too. This will be indispensable when it comes time for cheesy Christmas manis! So what are you planning on sporting on July 4? Anything thematic? OPI Red and Blue Shatter were sent to me for review by a public relations agent for OPI. For more information, please see my Disclosure Policy. Looks really good like that! We don't celebrate it at all here in France, if I didn't followed american blogs, I wouldn't even know it's tomorrow! I'm in Canada, so it's not really celebrated here, but a lot of people do know what it is/when its happening because we're right beside you guys! 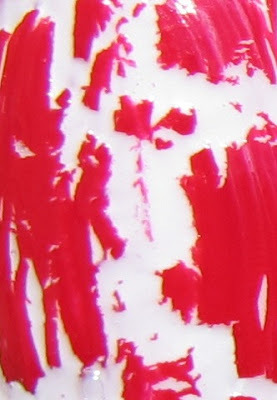 lol I'll be attempting my first water marble for the occasion mostly because I was born in the USA and because most of my readers are American, :) Happy 4th! I'm preparing to do horizontal stripes on each nail using Zoya "America," China Glaze "White on White," and Revlon Top Speed "Royal." With Nubar flakies on top :) We'll see how it turns out...! 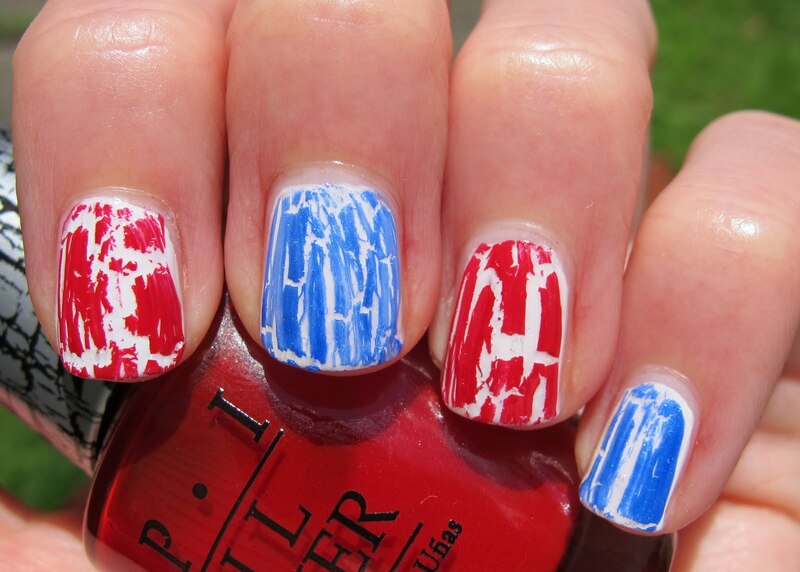 I am highly amused because I was going to do this exact same manicure for the 4th! Looks great! Rock-or-not- the French flag is red white and blue as well right? So you could do this for a patriotic holiday too! Veronica- I hope your water marble came out good, that's a perfect Mani for the occasion. Becky- that sounds pretty! The flakes on top just makes everything better! Cat Ray- that's funny! It's a little bit of an obvious choice, but I love crackle so much lately!